“What it takes to realize everything is fine around you? A road trip to the mountains where your soul dwells in the echoes of the winds that carry fragments of clouds with them. What it takes to realize world is going back to chaos and infinite hurry? It has been over a week that I returned from my enchanting 12-day-long Ladakh road trip covering roughly 3000 km of the most scenic of landscapes in the country. The travel worn rucksack still stands in the corner of my room, waiting to be relieved of its content. The shoes, scuffed and scratched, are resting under the chair…and the little souvenirs I picked up from various places on the trip lie strewn about on the reading table. Every single day since the return, I have been trying to jot down my thoughts on the trip – how it came about, the stunning landscape I traversed, the different people I met, the experiences my heart fell for, the culture I learned about…and the seemingly endless Ladakh legend and lore that I heard of. However, up until now, I could not put on the blog a single coherent thought about the trip, but for the occasional social media updates, reliving some treasured moments from the epic journey, in the way of photos. If you are connected with me on Facebook, Twitter, and Instagram, you would have sure come across some of those updates. So why nothing on the blog as yet, you might wonder. Well, I am putting all the blame on travel withdrawal. Yes, travel withdrawal is a real phenomenon – and sometimes so consuming that it leaves those affected with a prolonged state of dreamy languor, with only the flashbacks of the recent travels playing in their minds. However, realising that a week’s time is quite enough to hibernate and nurse travel withdrawal post a trip that is of as epic a proportion as the one I have come back from, I have coaxed myself to snap out of the funk and get down to write about the experience before I relapse into a state of inertia. 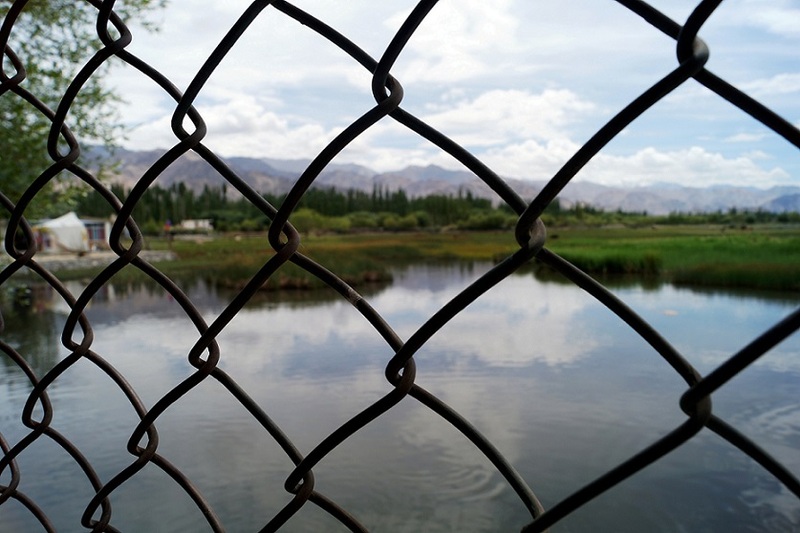 So here I am, chronicling my experiences and musings from the trip under the header – the Ladakh Chronicles. Though this particular blog post is a broad overview of the entire journey, I intend to make day specific day wise entries as well, in addition to posts about my favourite places from the region. Hope you will stay with me on this as I start a written recap of this journey. 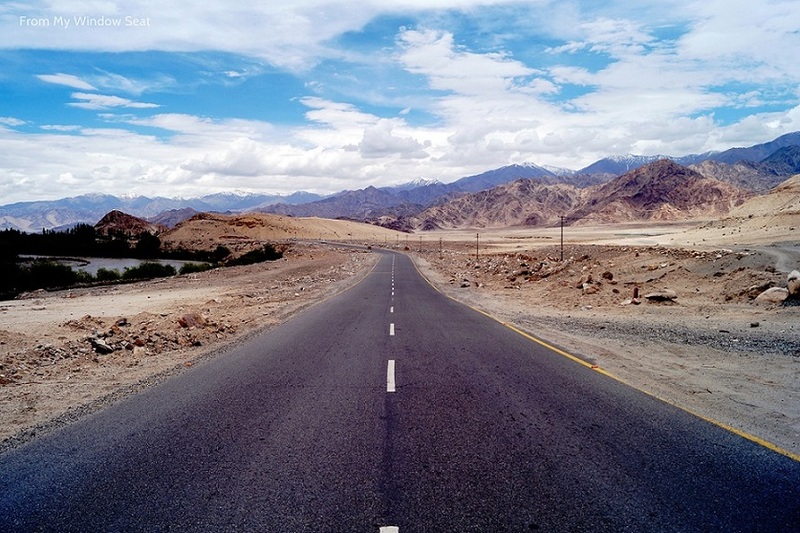 Would you be interested in road tripping to Ladakh? The invite from Scout My Trip, a community driven Do-It-Yourself platform for road trips in India, to be a part of the Highest Blogger Meet to be held at Khardung La at an elevation of 18,380 feet from the sea level, came, as the cliche’ goes, like a bolt out of the blue. Khardung La, a mountain pass in Ladakh has since a while been cited as the world’s highest motorable road. The claim is considered debatable, with the critics pointing out that the actual elevation of the pass is 800 feet lower than the claimed 18,380 feet. Nonetheless, a blogger meet at that altitude was going to be no mean feat and I wanted to be a part of it. 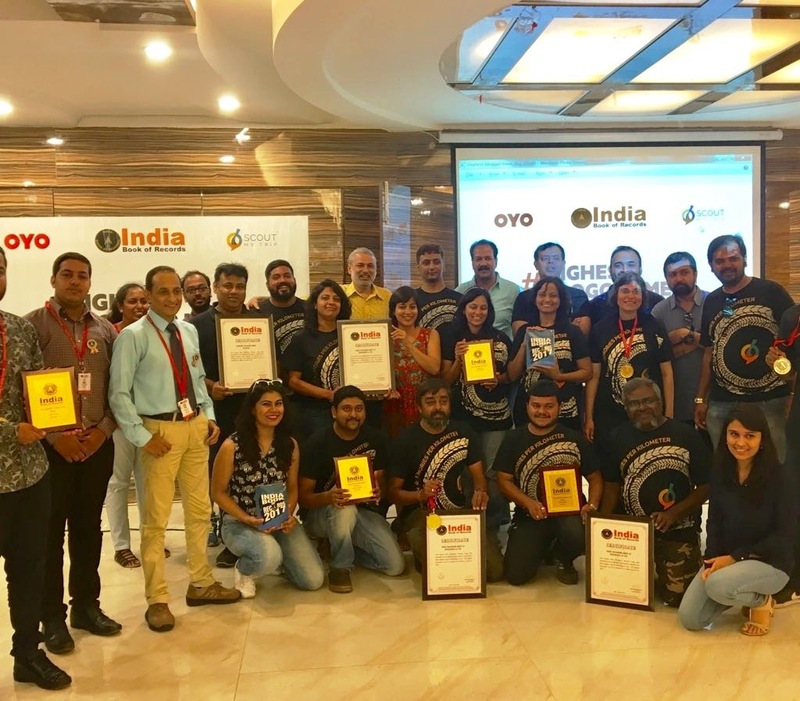 The drive and the meet were in partnership with OYO, a hotel brand with properties across 200+ locations in India. 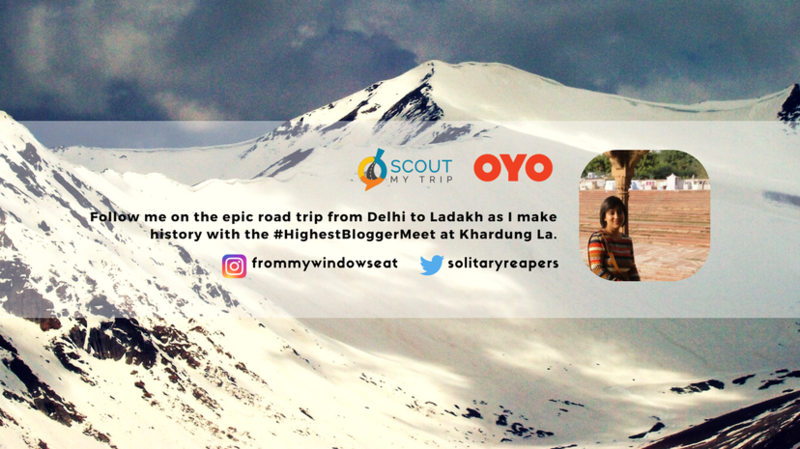 While the idea of being a part of the #HighestBloggerMeet in India was exciting, in all honesty, what really thrilled me was the fact that I could finally be traveling to Ladakh – a travel dream cherished for long. In the past, quite a few ‘Ladakh trip’ plans had gone off course for various reasons, resulting in my Ladakh aspiration being shelved. And so this invitation seemed like the perfect antidote to all those quashed plans. Can this get more symbolic? As I mailed in my excited acknowledgment, anticipating what lay ahead, I could only imagine the logistical and other details that would go into actualizing the ambitious campaign. How are these people going to execute this? The folks at Scout My Trip with their motto of going #AageSeRight saw through this campaign and how! As mentioned above, Scout My Trip is a DIY platform and community for planning road trips in India. The community comprises experienced travellers and scouts who help people in planning road trips not just within the country, but also beyond the borders. Dr. Amit Nikam – a doctor by profession, who drove to Delhi from Nagpur to be a part of the trip. Pratik Jain – a doctor-in-making, drove all the way from Jharsuguda in Odisha hinterland. Dr. Shakeel Khan – an agriculture scientist from Delhi. 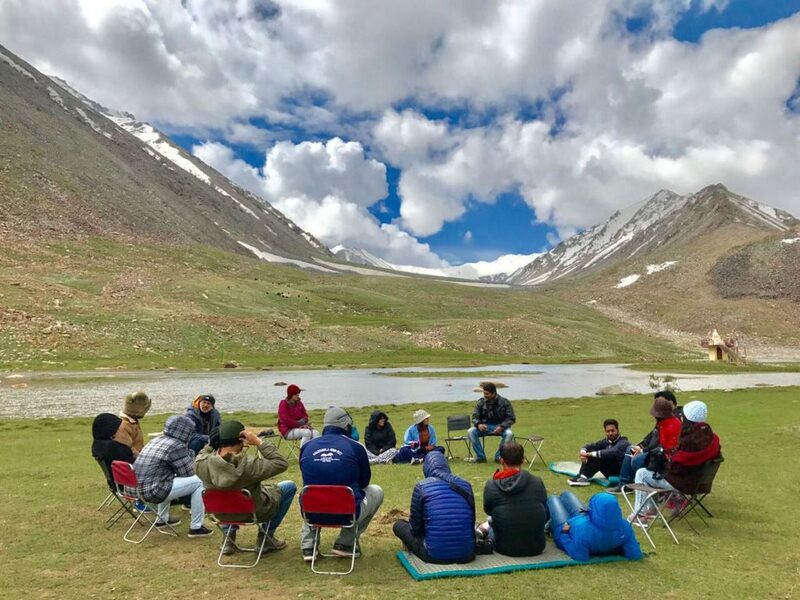 If the Ladakh road trip was a resounding success, it is all thanks to these wonderful scouts who kept their cool in the most trying of circumstances, on the most treacherous of roads. Even a momentary negligence on such terrain could have become a cause of great distress for everyone involved. 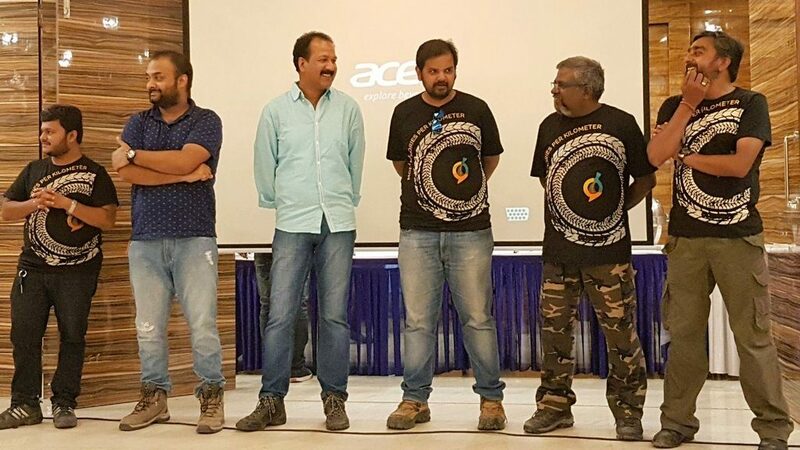 From over 500 bloggers who filled in application forms to be a part of the epic Ladakh road trip, Scout My Trip team picked up 15 bloggers from different blogging genres to be part of this campaign. And here I must thank them again for giving me the marvellous opportunity to be a part of this epic journey. If you want to read about all the bloggers that made up the blogger squad, they are listed here on the SMT website. 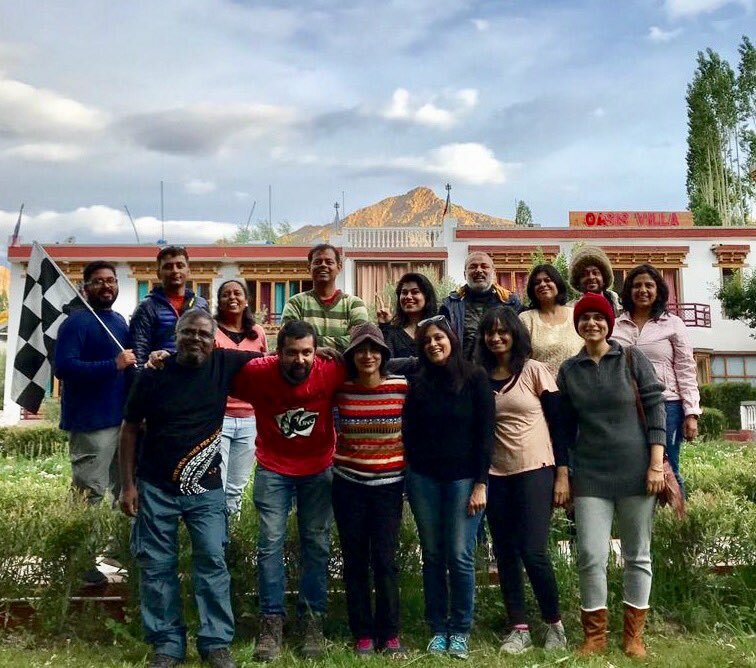 Fellow travellers play a huge role in how a road trip pans out, and if I have fond memories of the Ladakh trip, I have this amazing, fun-loving group of fellow travellers to thank for. The raison d’être of the road trip of course warrants a separate post of its own, so let me just give an overview of how the Highest Blogger Meet panned out. 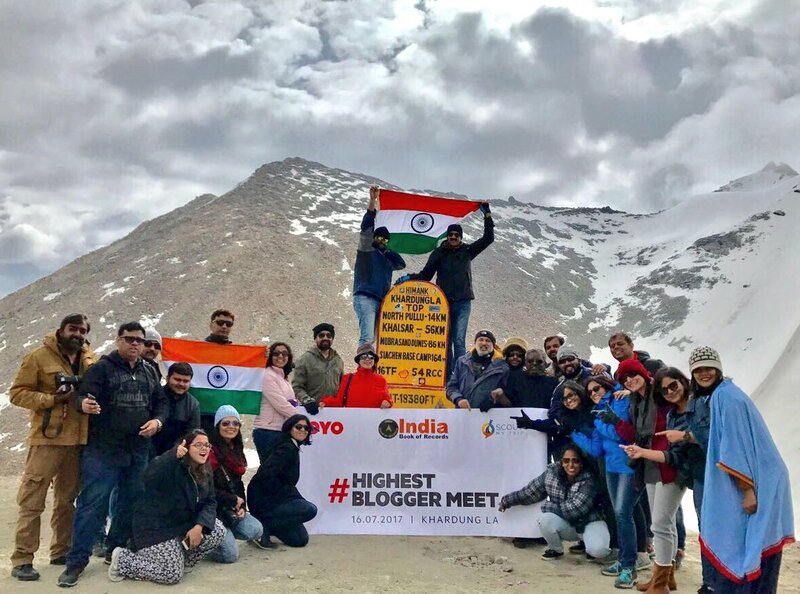 On July 16 2017, at around 8.30 in the morning, 26 excited people from the Scout My Trip and OYO cavalcade stood around the milestone marking the location – Khardung La Top, 18380 ft. The air was thin, with participants already briefed about high altitude related disorders. Despite the odds, the group valiantly huddled together for the record-making feat of organizing and being a part of the Highest Blogger Meet. 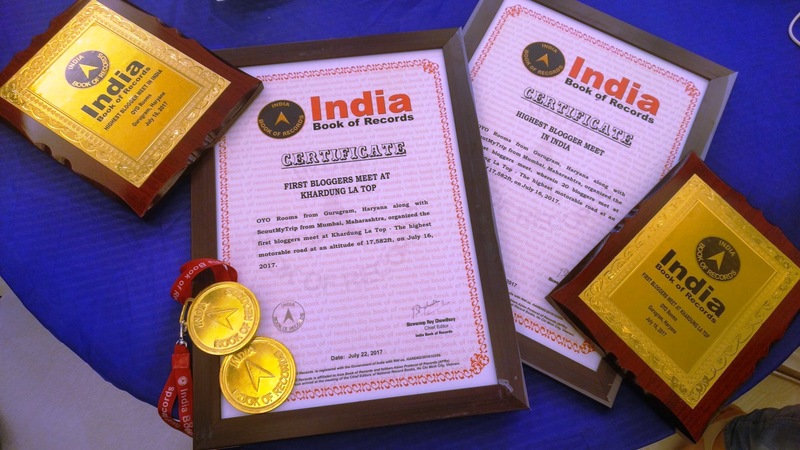 I say record making, for this accomplishment has now entered the annals of India Book of Records in two categories – First Bloggers Meet at Khardung La and the Highest Blogger Meet in India. The #HighestBloggerMeet also a surprise reveal from the OYO team – the launch of #OYOnauts, a one of its kind program for avid travellers. Let me share more on this in the next post, but for now, it will suffice to say that OYOnauts is a brilliant platform for people who love to travel and share their travel experiences with friends and families by way of photos or written accounts. If you love doing this, you can be an OYOnaut too. More on this in the next post! Post the Meet and the photo ops to record the occasion for posterity, it was time to drive on and explore some famous sites on the trip itinerary route, the details of which will follow in the subsequent posts. Hope you enjoyed reading this post as much as I enjoyed putting it together. Stay tuned for more stories featuring the under Ladakh Chronicles. 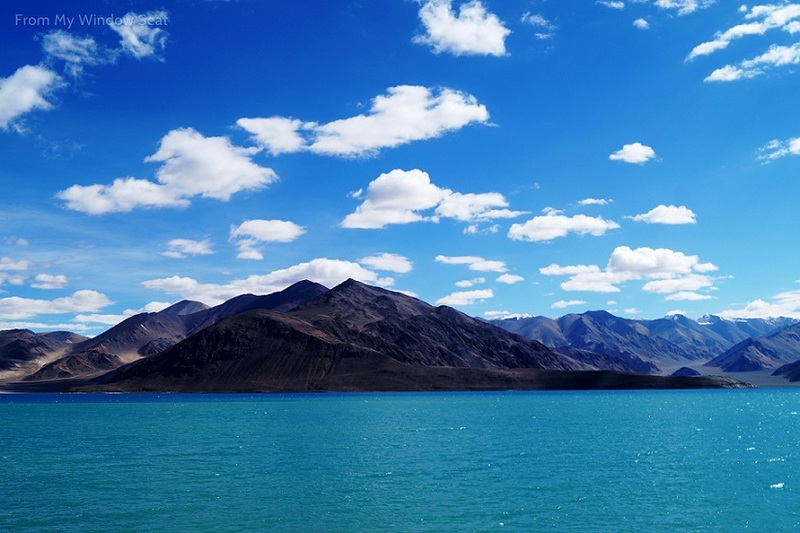 Leaving you right now with this pretty photo of the Pangong Tso which presents a strong case for blue-o-mania with its many a brilliant shades of blue. Note: This spectacular Ladakh tour was curated and sponsored by Scout My Trip, in collaboration with OYO. Views are my own. Could relate to this so much. Travel withdrawals, sigh. I want to relive this trip again. Was great traveling with you! Beautiful! Ragini, you have just captured the essence of what this road trip was all about. Thank you for this lovely write up !! This wasn’t the first time we met Ragini, but I saw a completely different shade of you during this trip to Ladakh. While the best of us chronicle every thing they see when traveling, we seldom stop by to talk to the lesser known and lessen spoken to heroes who make the wheels turn. I mean who goes out scouting for guards, helpers, BRO workers etc. – You! We had our very own Munna Bhai (behn) with her own jadoo ki jhappis and I am sure you got a lot of stories which travelers usually don’t. Cheers to that spirit! If we’re not interacting with people when we travel, what kind of travel is it anyway? The people of Ladakh are one of the friendliest bunch but the sheer deluge of irresponsible tourists who are aggressive with them for no reason has altered their behavior towards their own country men/women. All the best with your solo travels, and hope the memories of this group trip shines on in your list of escapades and trips across the world. Very well written , very mesmerising. I look forward to reading about the daily update of this trip. Everything pen downed so beautifully… enjoyed reading it. This was your really unique idea !! have been to Leh and its fantastic. The Nubra valley and khardungla are to be experienced. Loved to read your post about #HighestBloggerMeet . Awesome pics.